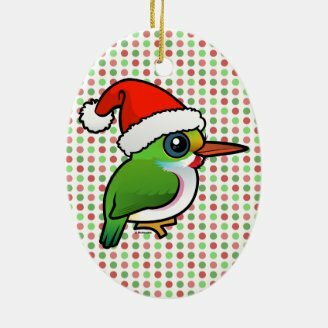 The first bird in our seventh annual Birdorable Bonanza: 2015 Advent Edition is the darling little Cuban Tody! The Cuban Tody is one of five species of tody in the world. 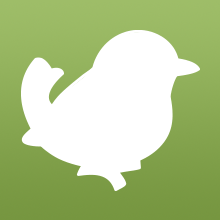 All birds in the family are found in the Caribbean. Todies are related to kingfishers, rollers, and bee-eaters. Todies superficially resemble kingfishers in their general shape and colorful plumage. 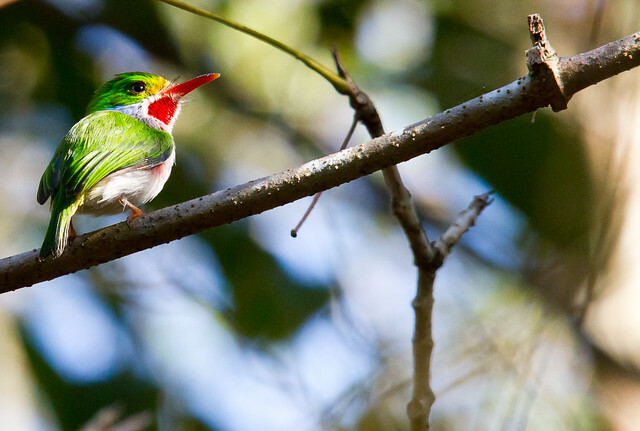 True to its name, the Cuban Tody is found around much of Cuba. The species is widespread and fairly common across the island nation. Like the other todies, the Cuban Tody is a colorful little bird with a flat bill. The plumage is dominated by green and highlighted by red at the flanks and chin. The Cuban Tody is our 617th Birdorable bird and our first bird in the tody family. 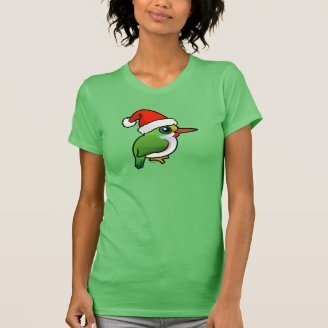 Be sure to check out our collection of apparel and gifts featuring the Birdorable Cuban Tody! Our Bonanza continues tomorrow with a crested, bluish-grey bird that is endemic to the mountain forests of New Caledonia. 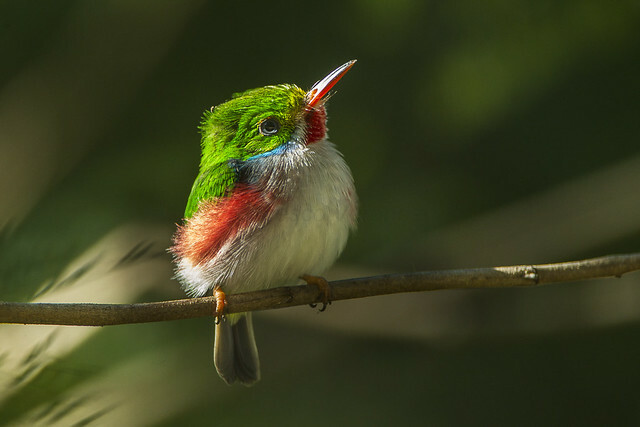 3 comments on "2015 Bonanza Bird #1: Cuban Tody"